As President of Caprin, Mike has primary responsibility for the firm’s strategic initiatives, ongoing business management, and team-based divisions. 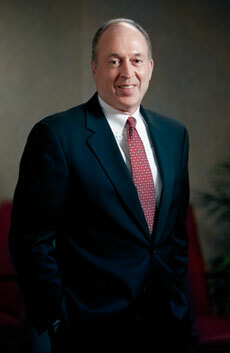 He also serves as chairman of the investment committee, and portfolio manager for select institutional relationships. Prior to joining Caprin, Mike spent much of his investment career at T. Rowe Price Associates, where he served as the stable asset division’s Vice President and senior investment officer with responsibility for managing the team and for investing more than $8 billion in client assets. Mike began his money management career in 1985 as a portfolio manager and analyst with Capitoline Investment Services. Mike earned a Bachelor of Science with a concentration in Finance from the McIntire School of Commerce at the University of Virginia and his MBA from the School of Business at Virginia Commonwealth University. Mike was awarded the Chartered Financial Analyst (CFA) designation in 1998, and is a member of the CFA Institute and CFA Virginia. Mike serves on the Advisory Board for the Memorial Foundation for Children and has held various leadership and volunteer roles in the community.